And my husband's 45th bday. 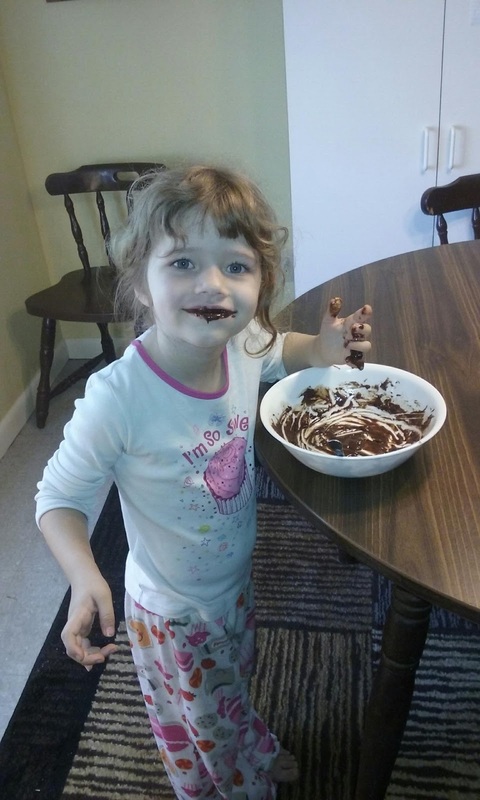 We had no cash to spare once we had met all of our obligations and the particular week of our celebration was extremely stressful for me as I awaited some test results that scared me. 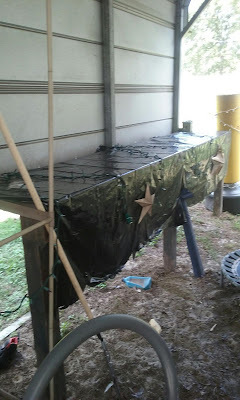 I have to say though that I am very thankful for my kids and friends who helped me set up and come up with some ideas on ways to celebrate because my creative tank was burned out and on E.
My friend and fellow blogger Dawn had suggested maybe camping but I couldn't afford to take my husband anywhere so instead my best friend and I decorated under our carport using Christmas lights and trash bags as table covers and we set up under it( because Florida weather can be unpredictable) tents that my family already owned. 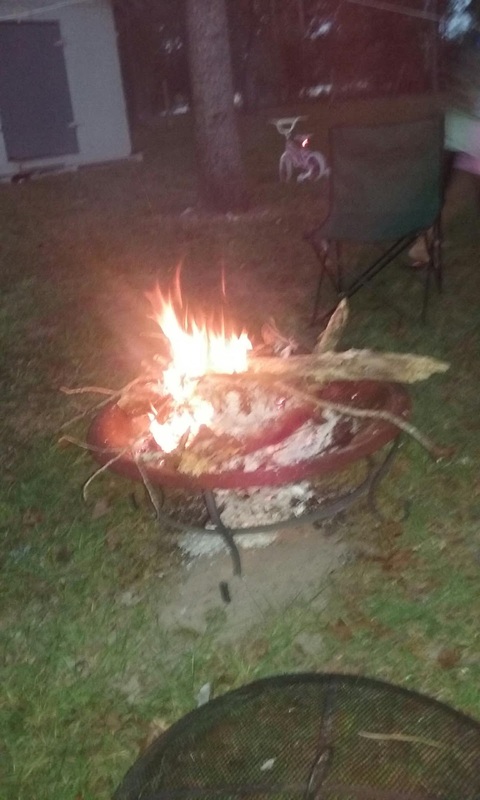 We collected wood that had fallen off trees in our yard to use for our fire pit. (we bartered for it over the summer during our weeks of no income to use for my son's birthday back in July, but the weather was so hot then we never used it). 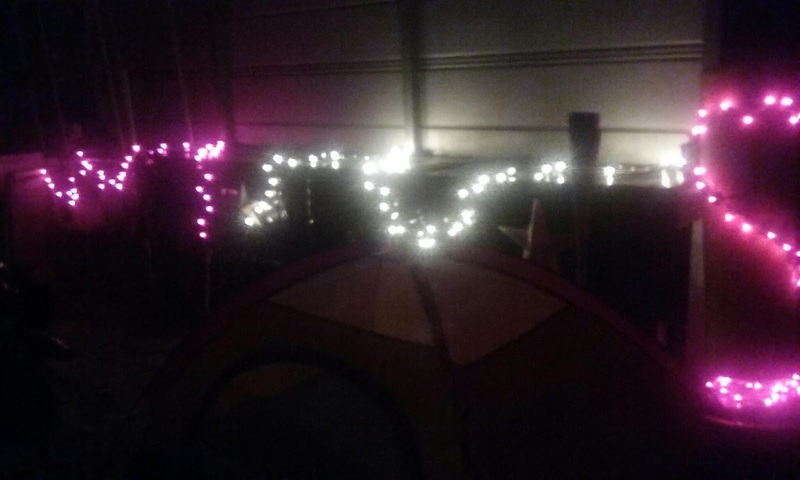 There is electric under the carport and we do not like primitive camping so I took our computer outside and blew up an air matress in the big tent. We had microwave popcorn and watched movies we already owned. 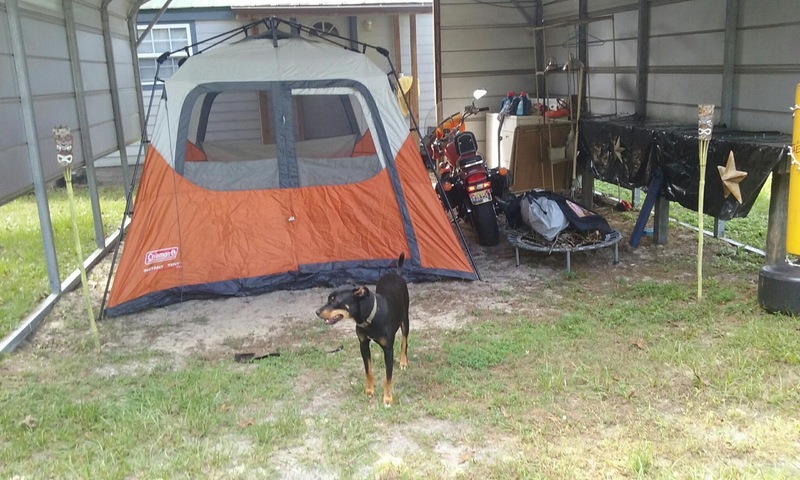 We were only able to sleep in the tent one night instead of the whole weekend because ants found our popcorn that we forgot to clean up and they bit us pretty good on Saturday night when we tried to go to bed. All was not lost though on Saturday night we had a fire in the back yard pit with my best friend and her family. We found a copycat recipe for red lobster baked potato soup and my friend provided the red lobster biscuit mix that you can buy from the store now. So we made some of my hubby's favorite foods. We also have these little golf things that you plug in and they will return the ball so we did a little miniature golfing in the house during the rain. 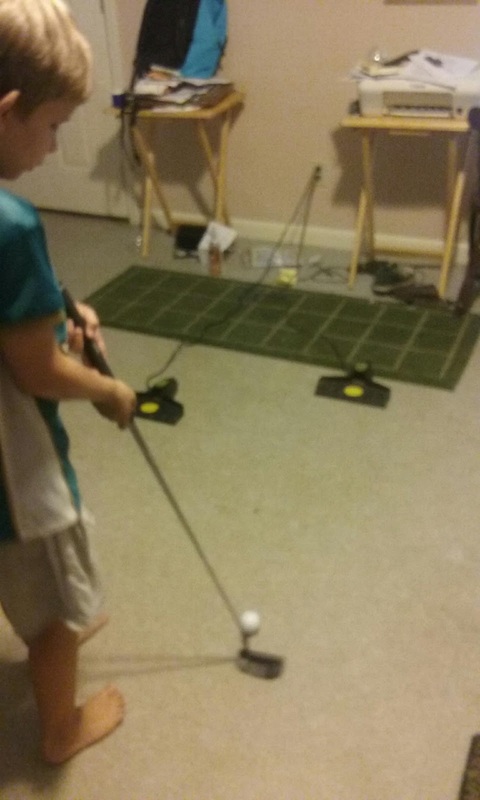 (Found those a couple years ago at a yard sale and paid one dollar a piece,my husband already owns clubs and the balls). 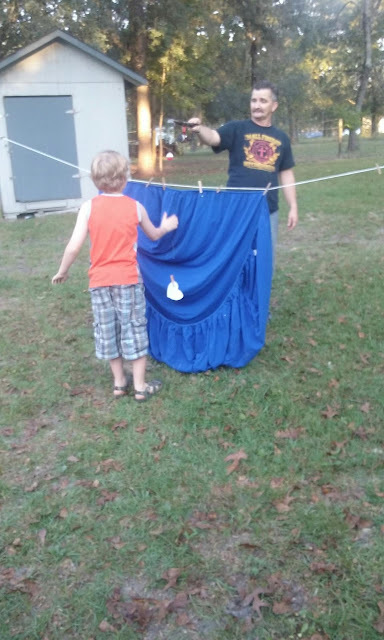 As the day went on my son had created a fishing game because in the words of my 10 year old "dad likes golfing camping and fishing...let's combine all the things he loves. " So we hung a sheet on the clothes line and I put a clothes pin on a fishing rod and my husband got to "fish for compliments." 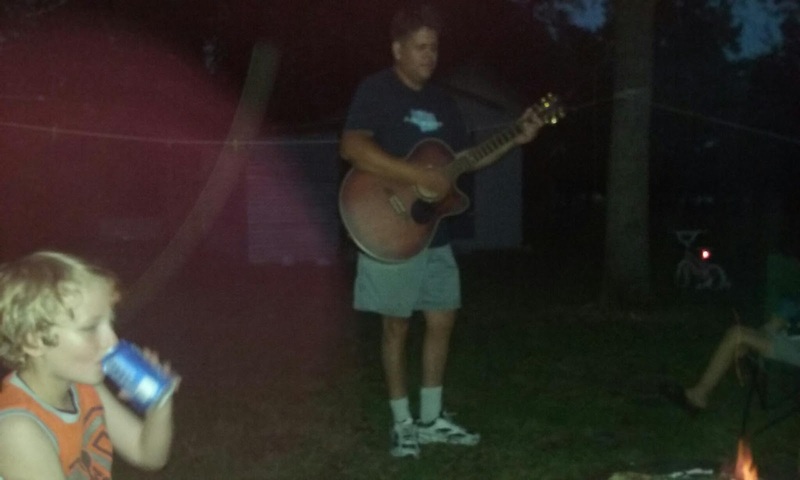 My friends husband brought his guitar and played worship music around the fire afterwards. For a gift for his birthday I literally spent .76. Again my friend to the rescue, she uploaded photos for me to walgreens and all I had to do was pick them up. 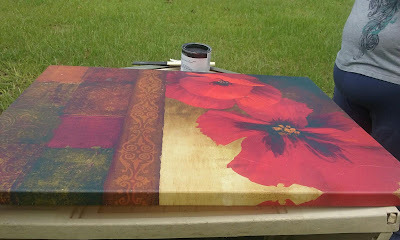 We looked in my shed and found an old painted canvas that I had got from curbside picking. I scrubbed it down with lysol. Once it dried we painted it using the paint samples I got a few months back but never used. 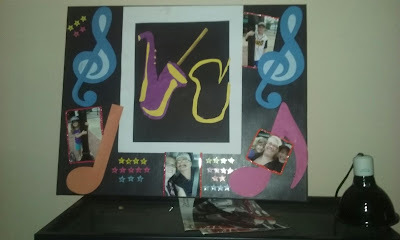 My kids and I later raided our craft cabinet and found some things to decorate the canvas with and we added the photos. (I never thought of painting over another painting.....so glad aunti L thought of it). The center piece is art work my son created last year that we had been wanting to hang up. We also made my husband peanut butter balls as an anniversary gift. 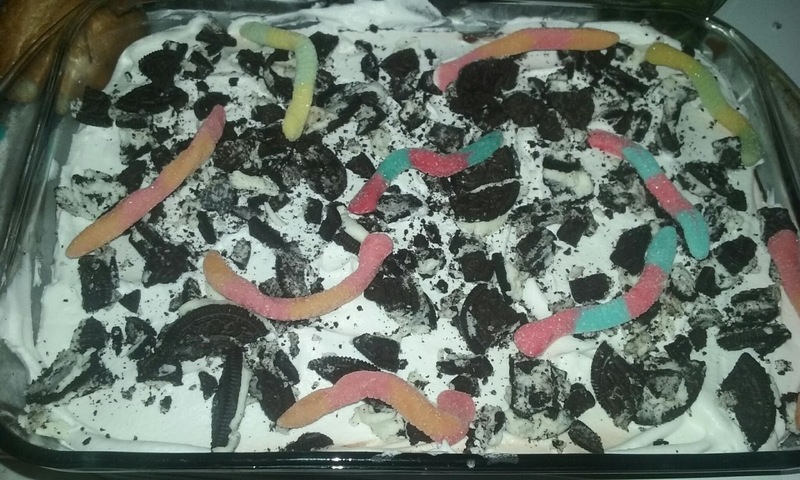 Oh and we had dirt for dessert. I used left over sparklers instead of a candle. That is how we celebrated using what we had. 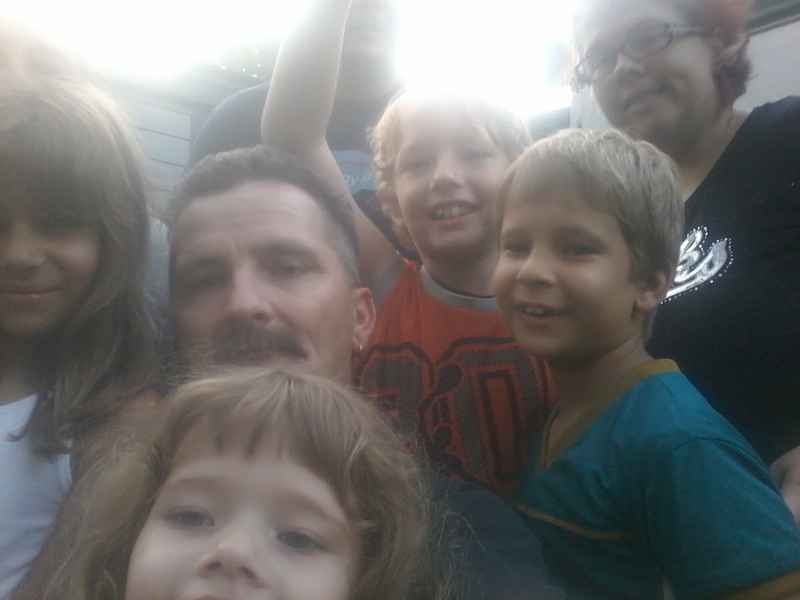 It was a great weekend we ended up that Sunday having pizza with our pastor at Church and our friends treated us to Texas Roadhouse for dinner. 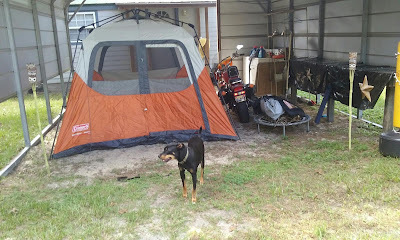 This was back on Oct 11 and I have to say I still have not gotten all the camping stuff put away. I want to thank everyone for their support,help and ideas for getting me through that week and all the days since. I have been blessed with some wonderful friends, encouragers, and a new church family. I share this post to encourage anyone who may have something or someone they want to celebrate but maybe you don't have resources to spend. Don't give up. Pray and open your eyes and see what you really have. Simple really can be effective.